A nice letter I wrote. One of the silent co-workers said it was probably the kind of thing that led to my dismissal. I also wrote one to the bank recently as well, not that they cared either. Well I suppose Passive–aggressive behavior is best thought up as a reason to blame people, though really it’s just their way of shifting the blame and pulling a guilt trip. Actually though everyone is to some degree, it’s just pop psychology. I find I get accused of it at work, though my family who largely support me when I get unfair dismissal from the jobs I grudging accept doing from time to time. I wrote this article with an idea to show how I feel sad, but really I’m not, I just have an unstable belief that I am. I also feel generally ill disposed to any potential competition, so you better not write an article better than this, and you better not complain that this one isn’t up to scratch either. No really, don't bother, there's nothing really worth reading, I don't want my despondency and apathy to ruin your day, after all no point us both suffering. It's the case that online communities are often a hotbed of Passive–aggressive behavior along with the workplace where everyone is secretly conspiring against me and those with the looks and the money are always plotting against the little guy like myself, or that we are alike; though I'm sure that you'll reveal your "true colours" soon enough. Of course I was just joking there. However I do feel a great deal of despondency about your character and how as we get to know each-other you will change to be like them, the others who persecute or deride me. That's cool though. Of course what follows is probably only a minor level of interest because you probably just wish you could write an article as good as this, or you're with the hideous 'power brokers' and feel that your authority is undermined by me writing an article on Passive–aggressive behavior. I've got some news; I'm in charge of my destiny you know! I suppose you should continue if you can answer why you should, it’s not a riddle, but hopefully something to stimulate our discourse. Being ambiguous is something I'm good at, I like to think you know how much I respect you acknowledging this. Speaking openly and frankly and in a way which I'm sure you'll agree, that I'm misunderstood and alienated from others, this is not due to myself but through an often over-competitive environment and an ineffective hand steering. How I wish life could be made more straightforward and less filled with the crap I have to put up with from others. It's not that I don't like people, it's just that I find dealing with them difficult. For the religious among us who choose to believe lies, the so-called experts at Wikipedia have an article about Passive–aggressive behavior. I write as an outlet for my pain, and I’m cool if you don’t get that, it’s just that I have a dependence upon writing these articles and getting away from the difficulties that plague my life. I prefer writing these to confronting my problems, and writing is a great healer apparently. Many say that a lot of great writers were passive aggressors also. I reckon they were probably just 'shits'. It's often said, that I can be difficult to read or ambiguous, but I believe in plain communication, plain communication with the caveat of concealing my secret resentments though. I always like to have a veiled jibe at one of the obstinate people that enter my sphere, obviously not like yourself. People in authority really irk me, probably because I secretly think I should be in authority or don't have enough authority in my life, I really can't make sense of it all anymore. As far as those rating this article I don't think they'll like it, I think far from highlighting my flaws it highlights theirs in a very knowing and clever way. I guess that's the way I am. Although no doubt more conflict will ensue or request to change it will occur, I'll be sure to drag my heels as much as possible with that though. 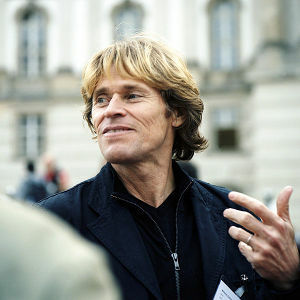 Willem Dafoe is an actor I like, because he's not with the "Big Hollywood thespiean types." He played a stunning role in Speed 2: Cruise control, which was him being a passive aggressive bad guy. He was also in Wild at Heart, but I didn't watch that all the way through because Nicholas Cage annoys me. Maybe you've seen these films like I have? Quite frankly I can already here the derision that’s going to come, you think you’re better than me, I don’t want to tell you how to live your life, but your must be pretty unfulfilling, which functions as no consolation for me at the moment, I'm not sadistic per se, but I could well develop it if you keep this up. I don't like the dependency you appear to show by reading this far down, as it suggests that you are leaning on me to find out about Passive–aggressive behavior. I don't rate that at all. Not one bit. I mean if you want to find out about I think you should be doing it yourself and not relying on me to do it. I think you should get off the potty basically. Not that I’m trying to have too much of a go here at you, as we're friends of course; I just want to balance the viewpoint that maybe perhaps you don’t pull your weight as far as finding out your own curiosities and perhaps your moving in a little too close to me. I don't want to seem like some bastion of higher thought or higher ideals based on my knowledge. I'd rather stay in the comfort zone and let you find your own way if that's OK with you. I don’t really like where this is heading, but sadly there seems to be no easy way of getting rid of you. I will also periodically will stand up against you, but I know all too well that you'll be here, tormenting my midnight hours. I feel a sense of guilt and helplessness about it all. Now only Oreos can heal the void that now fill my universe. There's always people putting pressures on me, be it my boss, or some other authority figure or yet another competitor to blight my blighted life. I would write a lot more but I have things to do, and I really can't put them off, as I keep putting them off as well instead of finishing this article. I suppose we're drawing an up to a good conclusion point, and I'm sure you'll be content with the results. I suppose I will continue on with the good fight, not really against anything specific, just generally in conflict with this zoo, this prison, this reality, whatever you want to call it. I hope you like this article, you probably don't though, and like all of my art projects at school, it will fall under the radar. What a typical outcome for my hardest efforts.